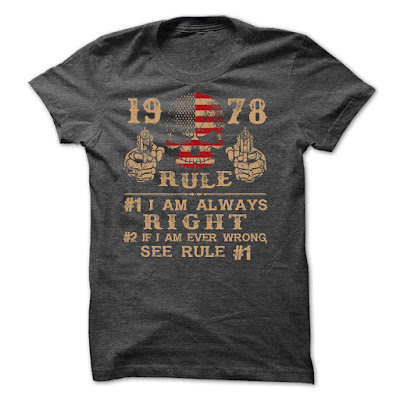 1978 Rule - #1 I am always right. #2 if i am ever wrong, see rule #1. If you dont like this Tshirt, please use the Search Bar on the top right corner to find the best one for you. Simply type the keyword and hit Enter!